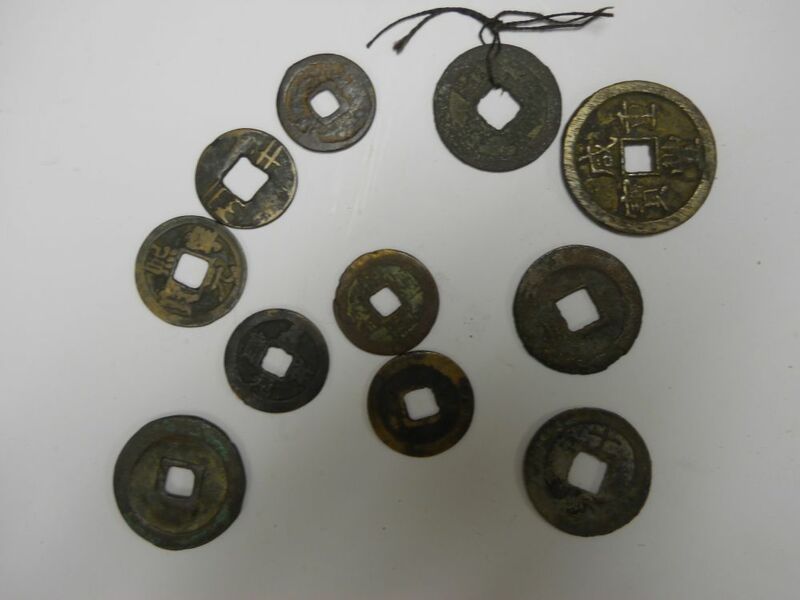 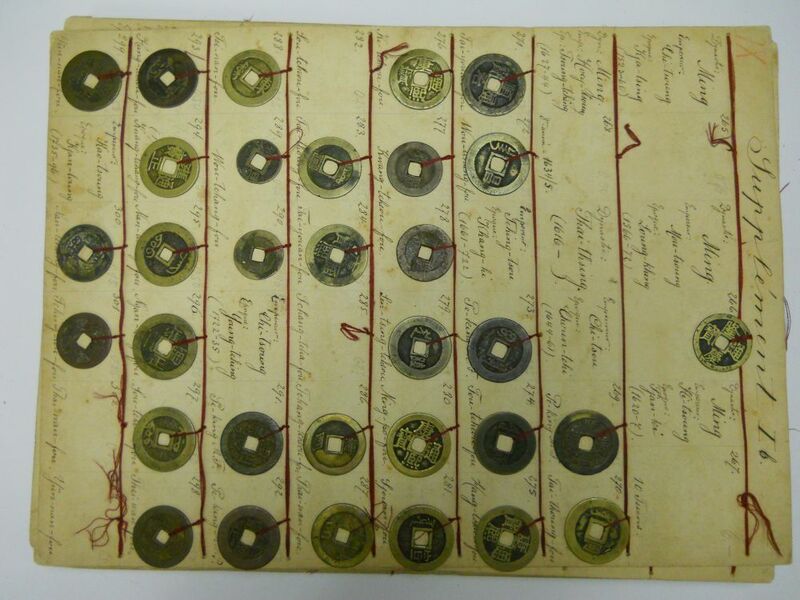 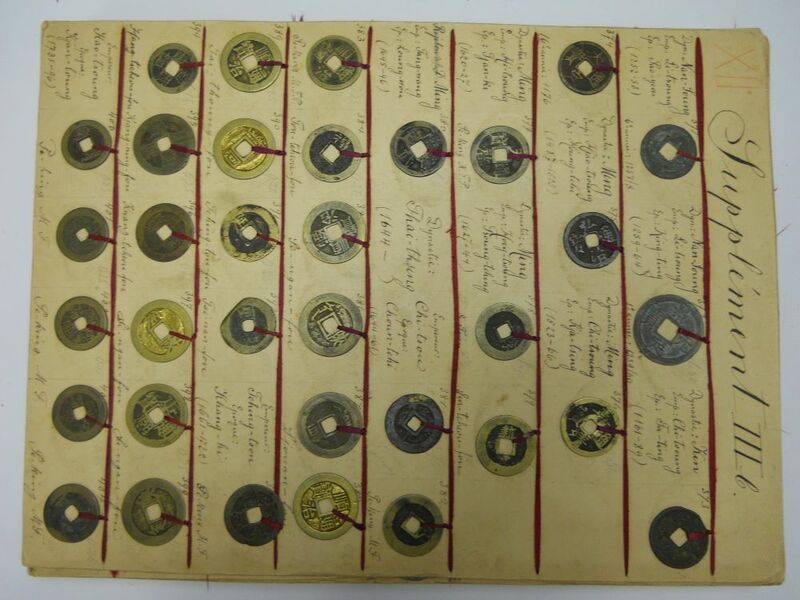 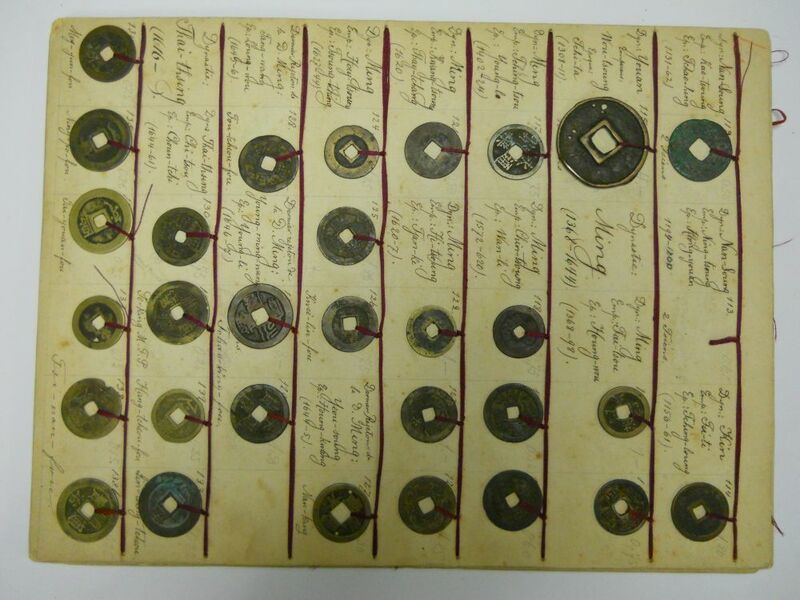 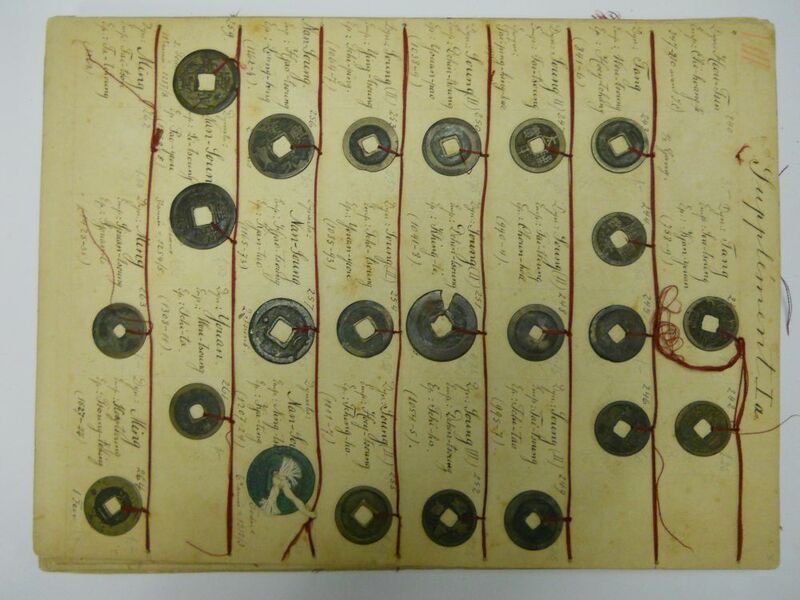 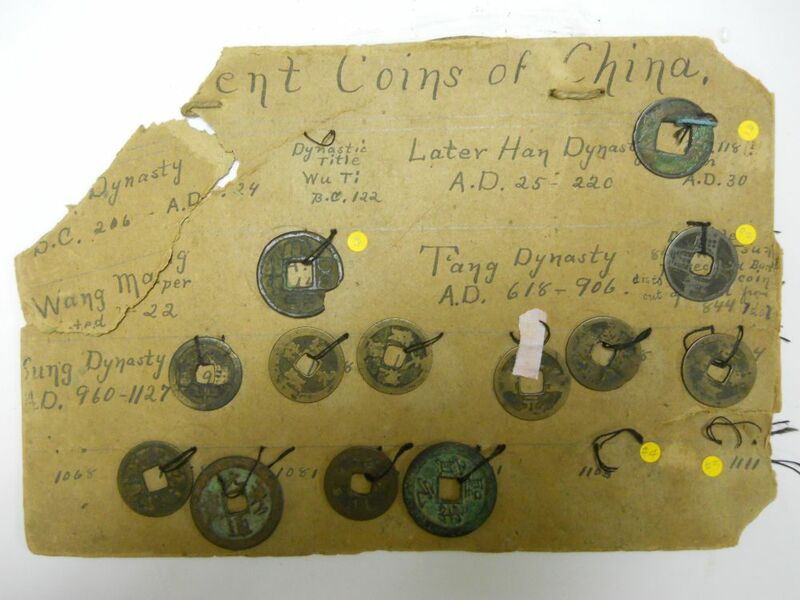 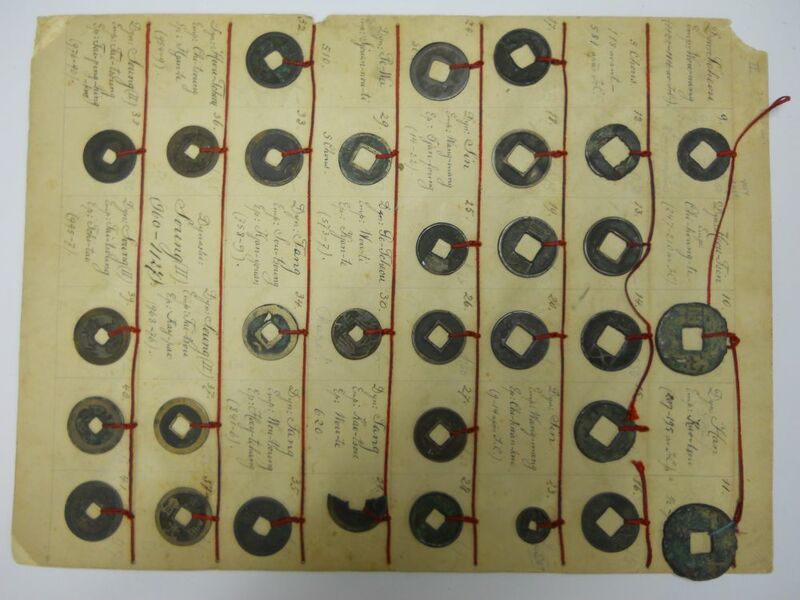 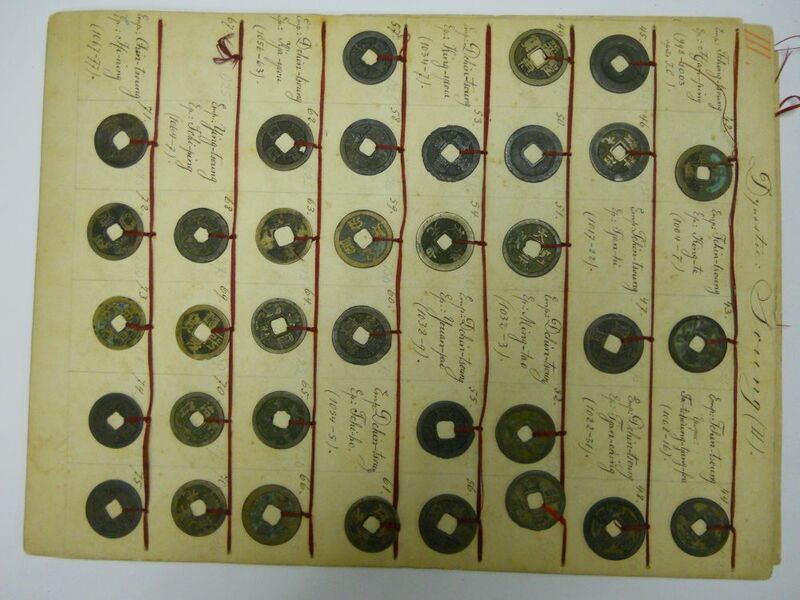 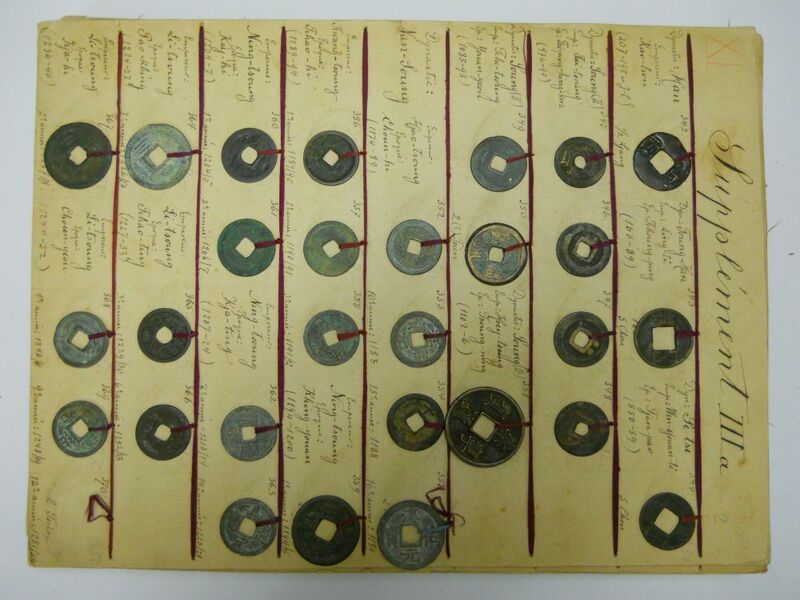 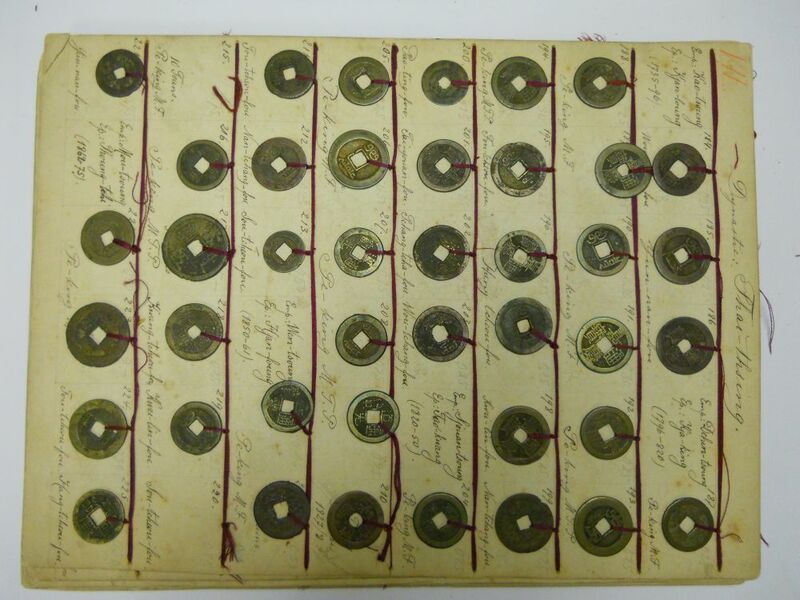 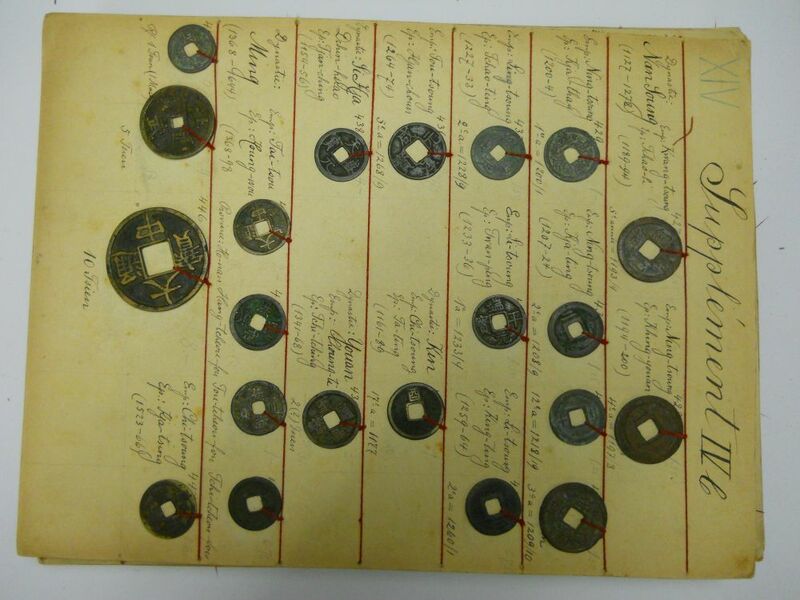 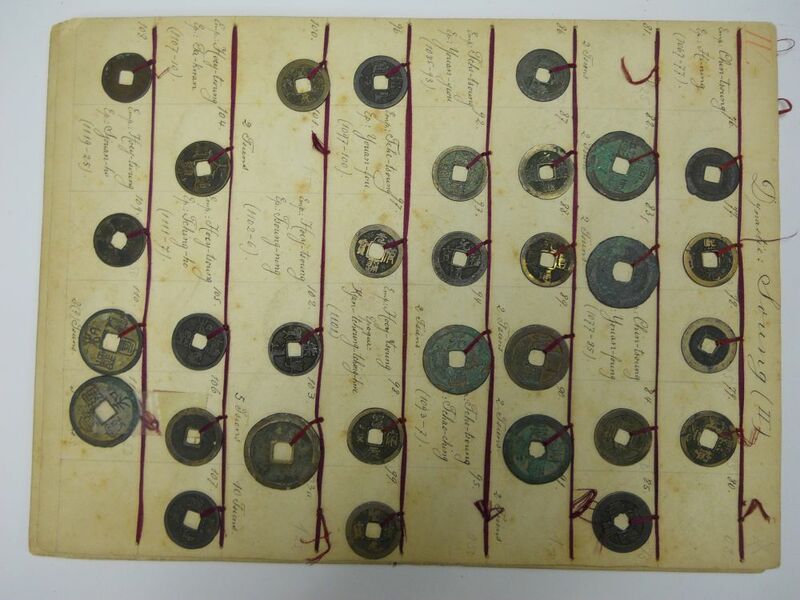 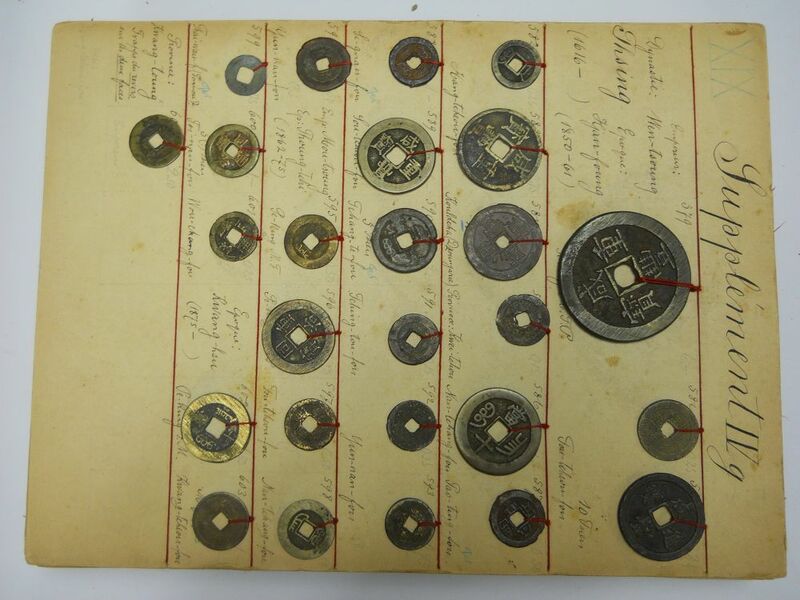 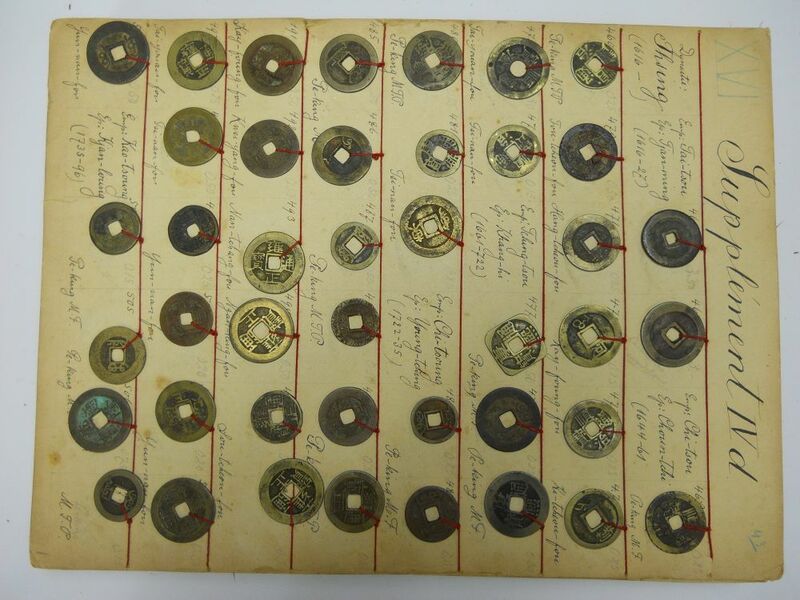 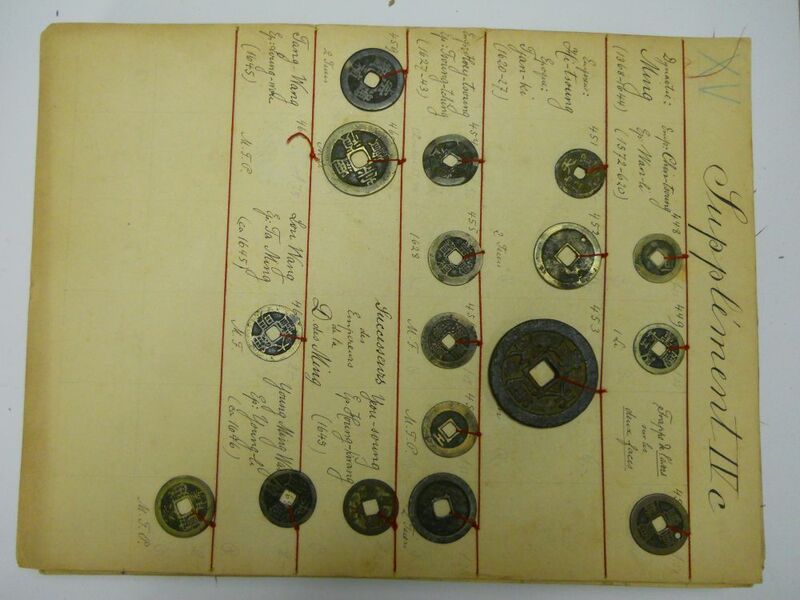 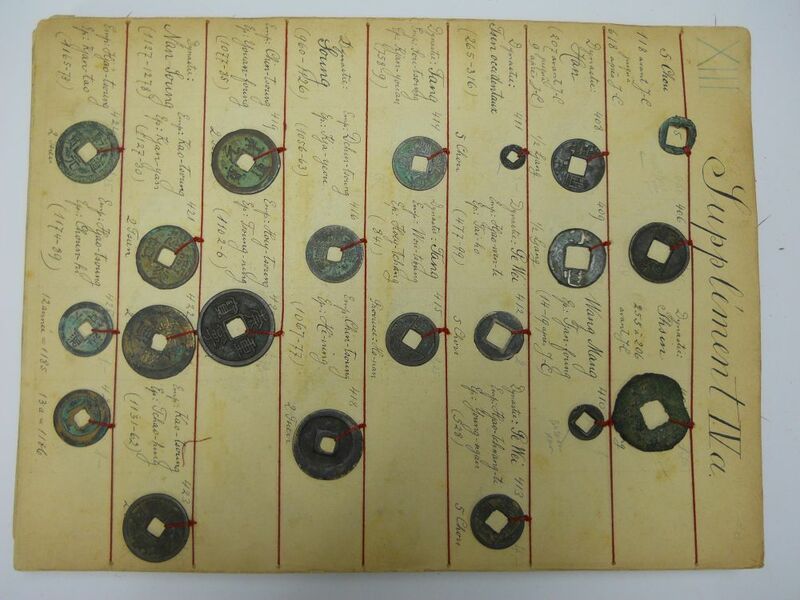 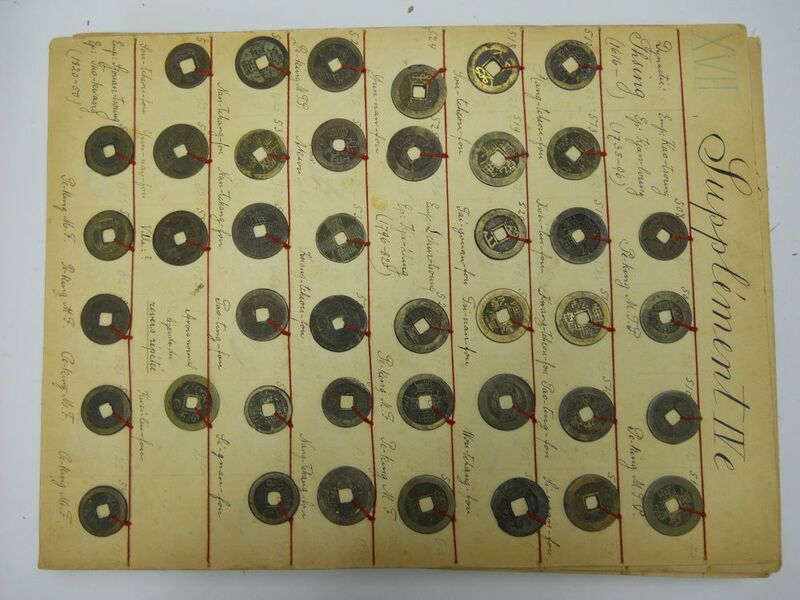 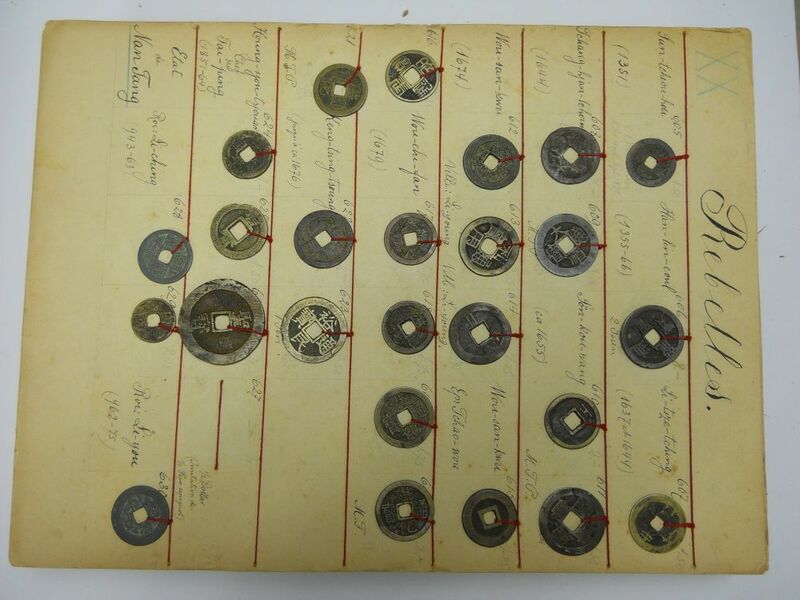 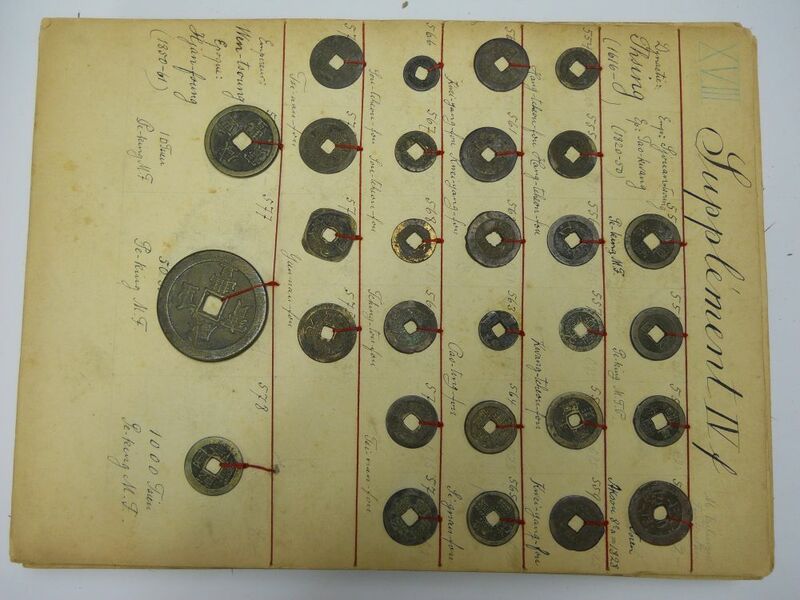 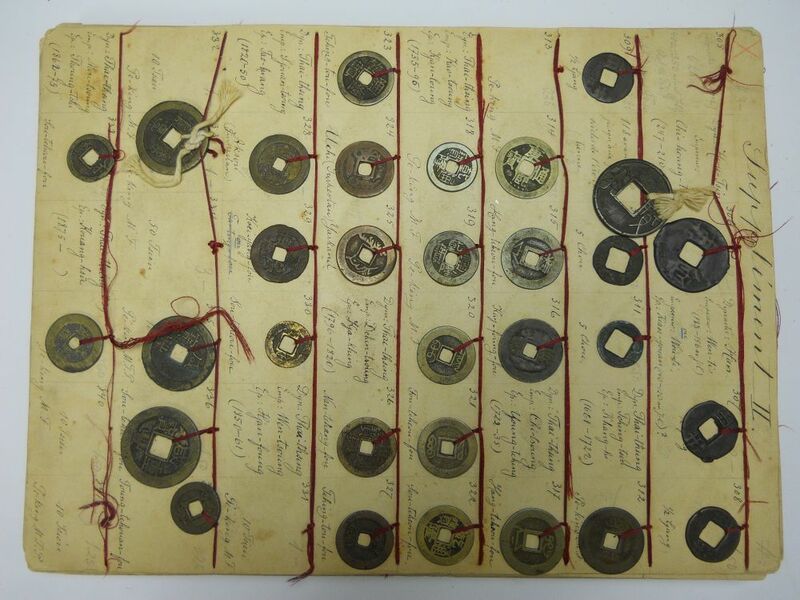 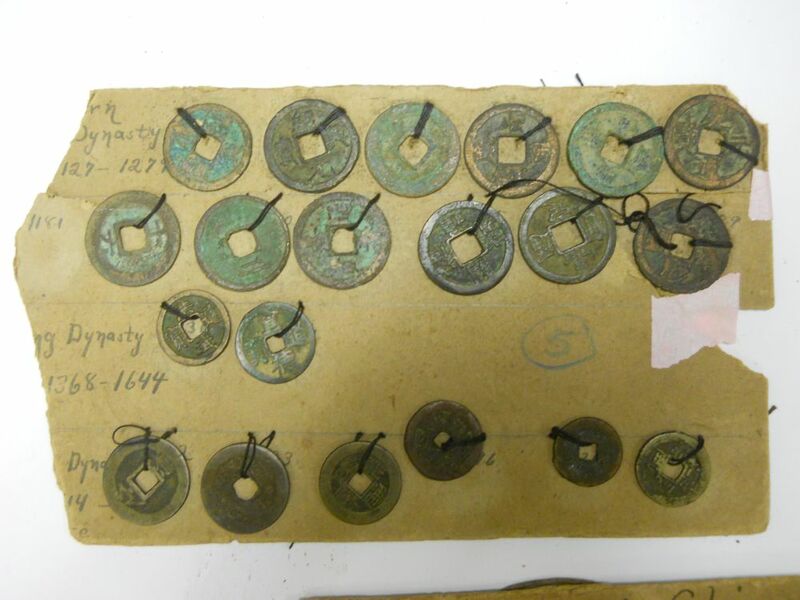 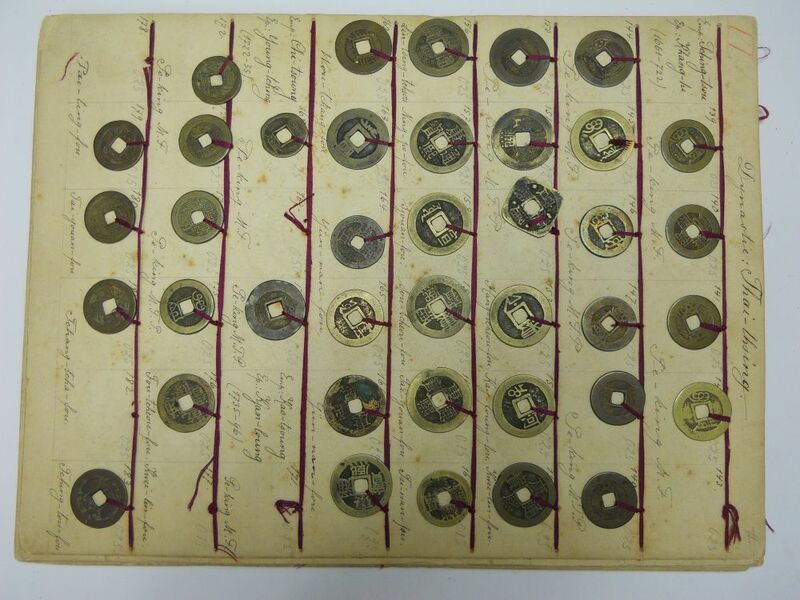 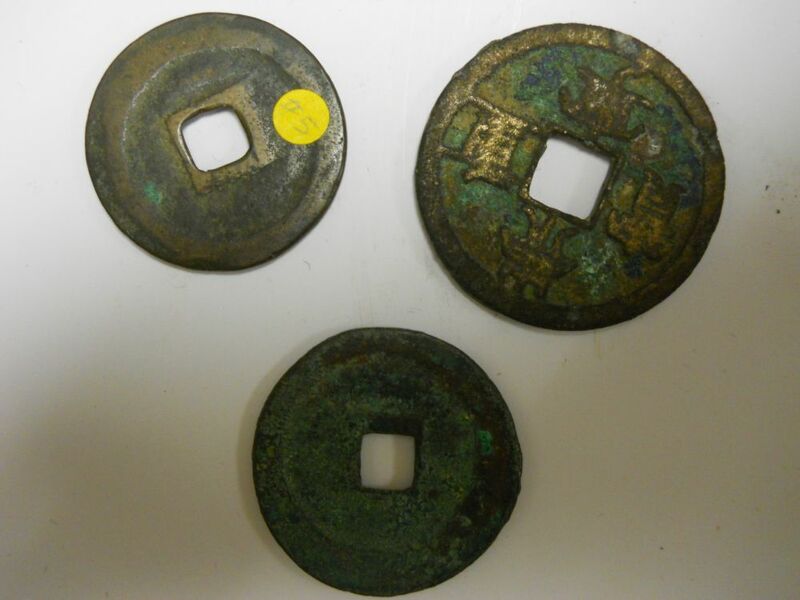 Cataloged Coin Collection, China, including more than 700 coins from the 3rd century BC to the early 19th century, including the "wu zhu" and "ban liang" of Han dynasty, the "xiao quan zhi yi" and "da quan wu shi" of Wang Mang period, the "zheng he tong bao" of Song, the "long feng tong bao" of Yuan, the "hong hua tong bao" of Ming, and the "Kangxi tong bao" (square) of Qing, coin dia. 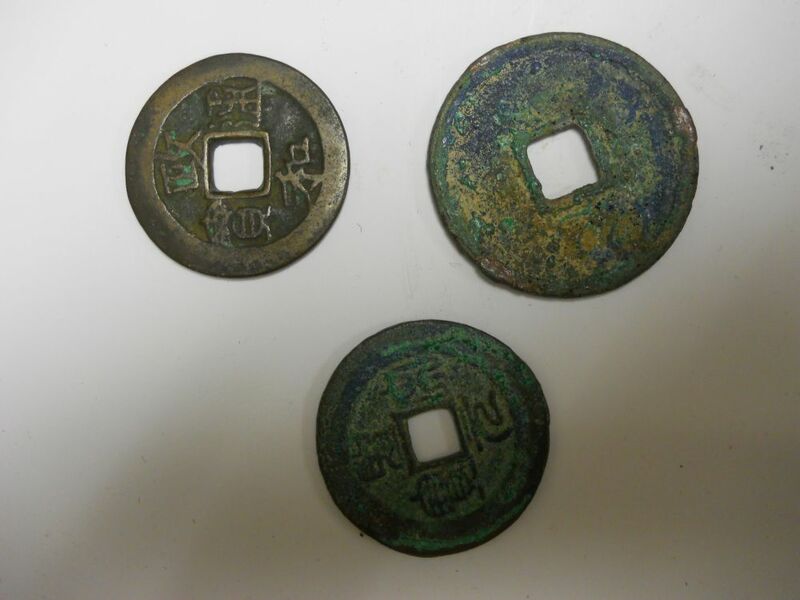 5/8 to 2 1/4 in. 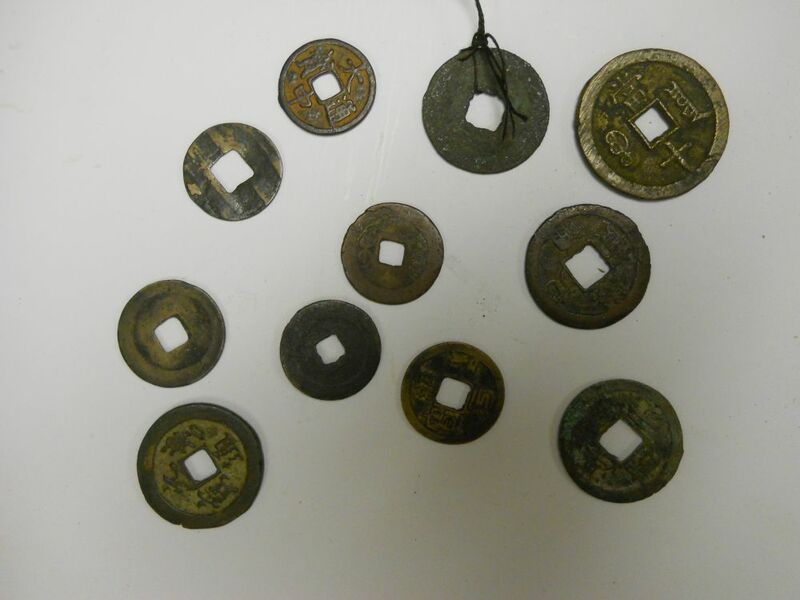 various in conditions, some cracked, some with breakages, heavy rusting with partial encrustations.